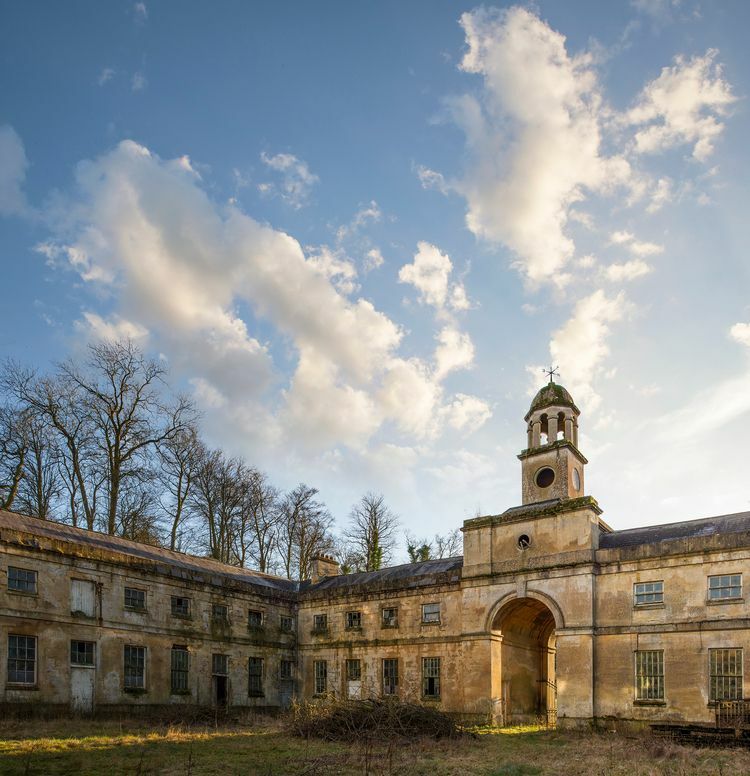 A hugely impressive stable block at a large derelict country house and estate. This was taken a few years ago before the grounds were cleared. The house and grounds are currently being brought back to use after many years of neglect.